Looks like the Kingdom Hearts video games won’t be the only things that show us what’s been going on in Halloween and Christmas Towns. 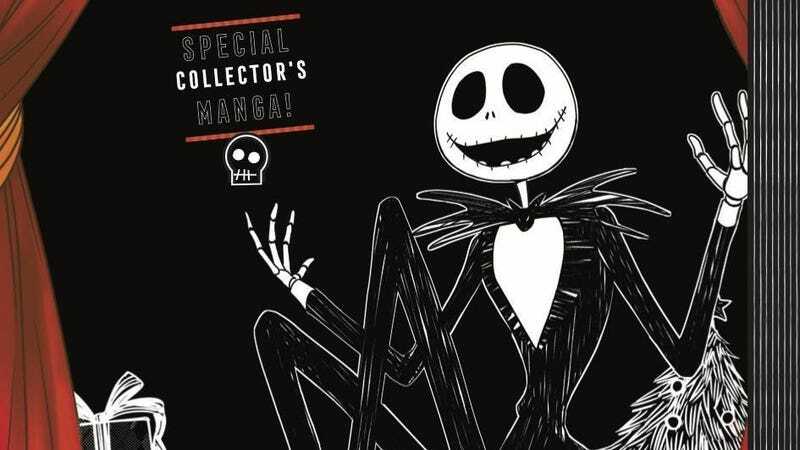 Almost 25 years after the debut of The Nightmare Before Christmas, Tokyopop has announced a comic book sequel to Tim Burton’s holiday classic. Tokyopop is following up its 2016 manga version of Nightmare Before Christmas (seen above) with Nightmare Before Christmas: Zero’s Journey, which follows the adventures of Jack Skellington’s dog as he gets lost in Christmas Town. The series marks a departure for the company, as issues will be released individually before being collected into larger, more traditional manga volumes. The Nightmare Before Christmas, released in 1993, wasn’t a major hit when it came out but has since become a beloved holiday film, inspiring tons of merchandise and a themed Holiday Mansion attraction at Disneyland. And yet, Burton (who produced and wrote the source story for the Henry Selick-directed film) has never signed off on any sequels to Nightmare Before Christmas before now. This could mean more films are on the way in the series—possibly even a live-action film, since Disney’s been diving headfirst into its live-action reboots. But it’s too soon to tell at this point. Nightmare Before Christmas: Zero’s Journey is being written by DJ Milky with art by Studio DICE, and is set to be released in spring 2018.